He likes Admirals who don't kill bin laden, ok? THE PRESIDENT: I don’t know McRaven. I know that I’ve gotten tremendous response from having done that, because security clearances are very important to me. Very, very important. And I’ve had a tremendous response for having done that. 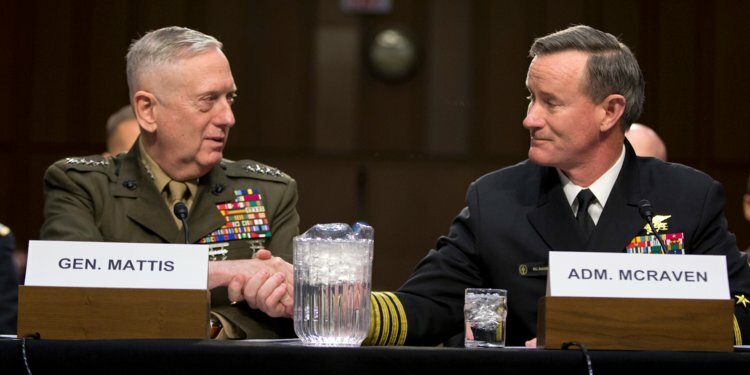 It's not surprising that he didn't know who McRaven was. He is a self-centered moron after all. It is not believable that nobody has told him since then. And yet, the best he can come up with is "I don't know McRaven" as if he's some obscure nobody with whom he needn't concern himself.